is a partner at Chambers. She obtained her Bachelor’s degree in law from the University of London in 2001. Wye Wah was called to the Malaysian Bar in 2004. Wye Wah practices commercial and civil dispute resolution covering a broad spectrum of areas, which includes energy, infrastructure, telecommunications, media, insurance and information technology. She also handles libel work and has acted against major local publications. She has appeared in court as counsel in court proceedings and has been involved in superior and appellate court proceedings. The main focus of her practice is on solicitors’ work and in managing Chambers. 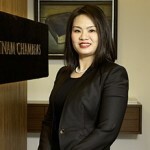 She currently handles all preparatory work and research for clients of Chambers. She is the author of the Accounting for Lawyers Handbook, written for the Bar Council and also co-author of A Practical Manual for Legal Secretaries and Paralegals published by Sweet & Maxwell.